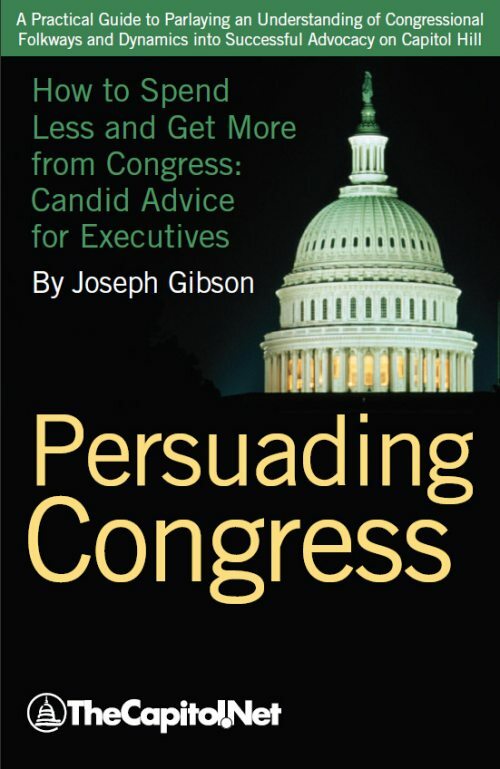 Persuading Congress, by Joseph Gibson, was reviewed in the October 2010 edition of the Georgia Bar Journal. Joseph Gibson offers keen insight into the process and practical advice for those wishing to interact with Congress. Overall, he has created a straightforward guide about effective interaction with Congress and its members. It is accurate and diplomatic in its approach, a refreshingly candid treatment of a complex and nuanced subject. For more information about how for less than the cost of a cab ride to the airport you can learn how to stop wasting your time when you visit Washington, see PersuadingCongress.com.